Tucson, AZ – (September 14, 2018) – MasterPieces Inc. is shaping the future of jigsaw puzzles for sports fans with the launch of its new MLB and NFL shaped puzzles. 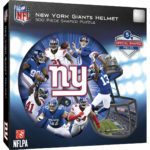 The new MLB puzzles construct to a pentagon home plate shape and the NFL puzzles finish to a cool football helmet shape. 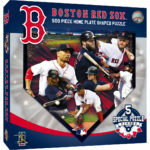 Each team puzzle (MSRP $19.99) is an engaging 500-piece challenge, featuring a dominant team color scheme with a collage of images of the team’s top players arranged into a large 22″ x 25″ completed shape. MasterPieces also included special hand-drawn shaped pieces that are cut right into the puzzle. 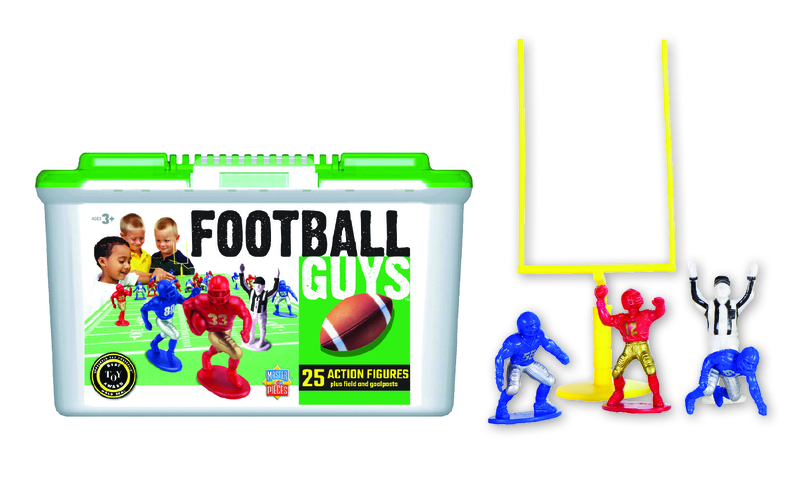 Builders can have fun finding and fitting five special pieces (MLB = home plate, cleat, baseball glove, uniform jersey, and baseball cap; NFL = helmet, cleat, football, uniform jersey, and yardage marker) into the assembly of the puzzle. 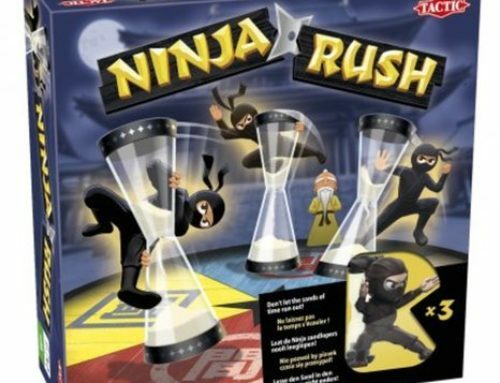 The new shaped puzzles, as well as the all-new original dice game, Fanzy, are the latest licensed sports products to arrive from MasterPieces, the emerging market leader in providing high-quality Collegiate and Professional league and team licensed sports toys, games, puzzles and accessories. The MasterPieces catalog of MLB, NFL, NHL, and NCAA merchandise now has new team playing cards, Uniformed Picture Frames, Spot it! 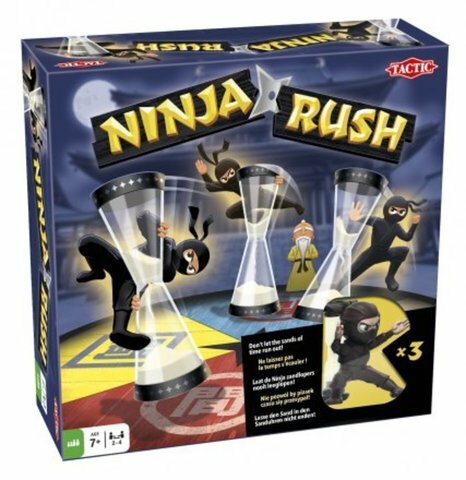 games, matching games, panoramic stadium puzzles, baby rattles and push-pull toys, checkers, dominoes and much more. About MasterPieces: MasterPieces Inc. was founded by David Rolls, former 8-year professional baseball player for the Kansas City Royals and Texas Rangers organizations, in 1995 with a passion to serve diverse retail markets and partner with evergreen brands and top puzzle artists. Twenty years later, MasterPieces has established itself as the market leader for combining the best quality products with the best value. 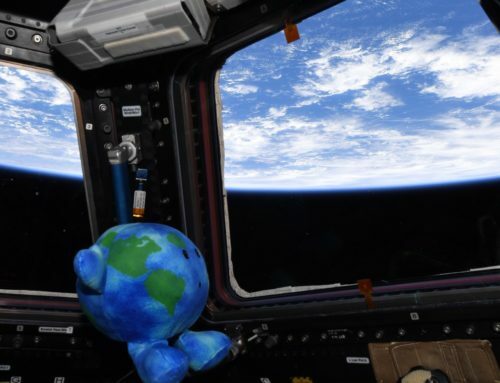 Headquartered in Tucson, Arizona, MasterPieces reputation for producing innovative and high-quality products has propelled its global growth and the company’s commitment to ensuring great value and superior customer support has earned its dedicated, worldwide customer loyalty. 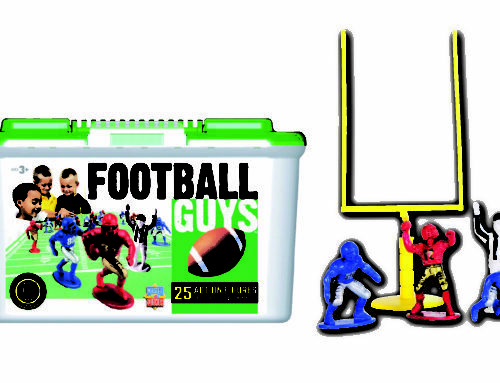 MasterPieces creates some of the world most elegant puzzles and innovative packaging, as well as toys and gifts, while also partnering with brands such as John Deere, John Wayne, Tetris, Animal Planet, Hershey’s, and sports licensing with MLB, NFL, NCAA, NHL organizations. For more information about MasterPieces, visit the company website at MasterPiecesInc and to interact with the company, please like and follow MasterPieces on Facebook, Twitter, Instagram, Pinterest, and YouTube.